But how do you explain that abstract concept to a jeweler and make it a reality? How do you tell a professional you want your diamond to have “that razzle dazzle” without sounding… well… silly? Or how do you find the correct term for when your ring is covered all around in diamonds? We break down common engagement ring styles and requests and translate them into jeweler-speak to help you bring your dream ring to life. You only want one diamond on your ring. 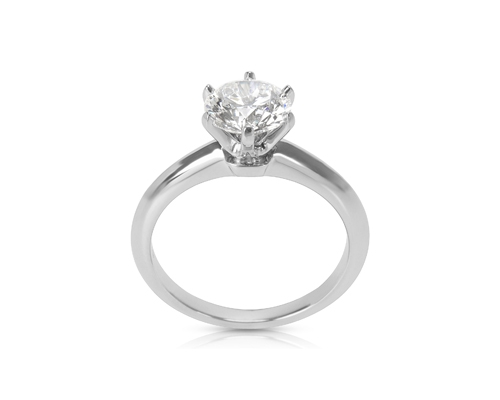 This is the most classic engagement ring setting known as a solitaire ring. A solitaire ring features a solo center stone (usually a diamond) in virtually any shape: round, square, emerald-cut, marquise, or oval. This elegantly simple setting looks really gorgeous if you plan on stacking your engagement ring and wedding band (or wearing them together, on the same finger) after the wedding. 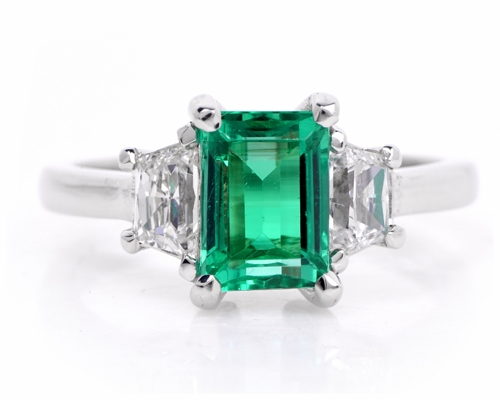 You want a diamond but with your birthstone flanked on either side. Broadly speaking, this style of engagement ring is called a three-stone setting and, as the name suggests, includes three stones set closely together, as if in a row across your finger. The stones that sit on either side of your center stone are called side stones. Couples are often drawn to this style because the three stones are meant to symbolize the relationship’s past, present, and future. Moreover, the three-stone setting opens up an incredible variety of combinations—all the same size diamonds, or differently shaped stones, or Fancy Colored side stones—so you can perfectly tailor the design to suit your personal style. You want tiny diamonds around your center stone. Those itty-bitty diamonds that frame your main diamond are collectively called a halo. The halo saw a popularity boon during the Art Deco era in the US and, in turn, gives some modern rings a cool, retro vibe. The halo also started as a way to make the center stone look more prominent so, if you’re trying to keep costs down, a modestly-sized diamond surrounded by a halo can give you an impressive look for a lot less. You want tiny diamonds around the band. 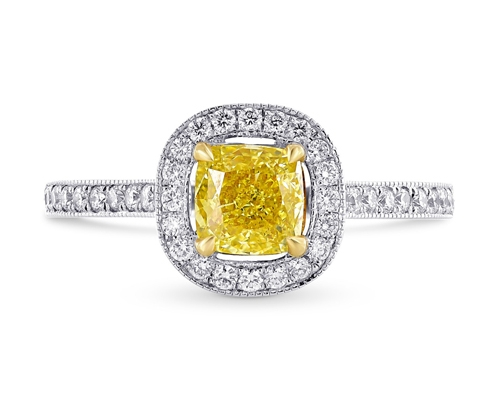 The pavé- or micro-diamonds that sit around your engagement ring band are called accent stones. 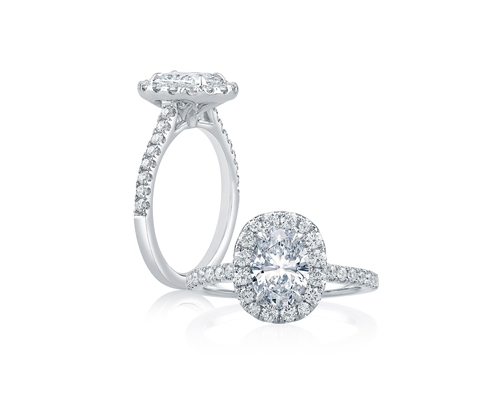 You have two options when it comes to accent stones: a half circle or an eternity band. An eternity band means the diamonds go all around the circumference of your engagement ring. Alternatively, a half circle means the stones only go around the top half of the ring, so the side that faces towards your palm is only metal. 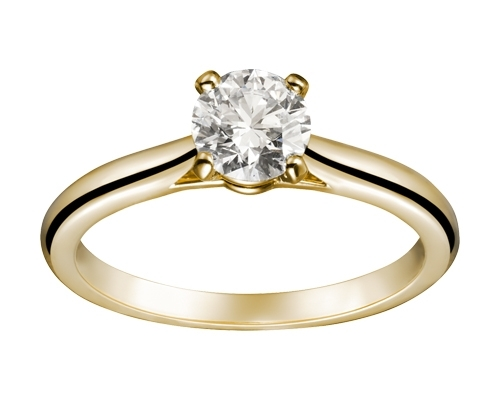 Some brides-to-be elect this style if they are worried about damaging the diamonds on the underside; constant contact (like the kind that comes from working with your hands, weight-lifting, cooking, or even holding onto the subway pole during your morning commute) can weaken the prongs holding accent stones, resulting in a lost stone. Other couples prefer the half circle because, by using fewer diamonds in your ring’s final design, this option can help your budget go further or save you some cash. You want your ring to sit up or above your finger. Tiffany & Co. is largely credited with our modern concept of an engagement ring; historically engagement rings employed the flush setting in which the stone sat in the ring’s shank; while the stone was very secure in this setting, it greatly limited the light that could pass through resulting in a less brilliant-looking diamond. But, in 1886, the New York jeweler introduced the solitaire six-prong setting that holds a diamond above the shank of the ring to allow maximum light to pass through and give your ring that dazzling sparkle and shimmer, which jewelers call brilliance (for white light) or fire (for rainbow-colored light). Today, this signature setting is known as the Tiffany Setting (which is now trademarked by Tiffany & Co.), but every jeweler will understand what you’re looking for if you want to model your ring design after that iconic setting. To explore more specific engagement ring details and settings (including the most popular luxury stone settings), check out this handy visual guide.